Traffic fears - Housing development plans for the west side of Harrogate. If there’s anything that sums up the complex nature of modern life it’s this. The former concerns Bilton and Nidd Gorge and is, an issue,already well publicised. But the latter is less well known, as are the potential knock-on effects on Pannal of all the new housing on the western side of Harrogate is less so. So far the Government inspector looking into the latest version of the Local Plan Harrogate Borough Council is obliged to come up with by the Government has said ‘no’ to plans for new housing located on the very fringes of Harrogate or in the villages dotted round the district. What Pannal community figures fear is that the approximately 4,000 houses in the pipeline for the west of Harrogate in the Otley Road area will force more car traffic through what was once their quiet hamlet. Hence their calls for a bypass to call their own. Like houses, roads in themselves are not the enemy, though if we are ever to stop being a car nation building more of them may not be the best idea. 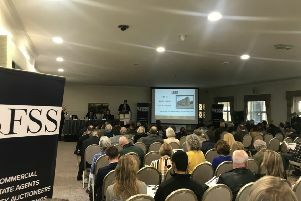 What makes the situation more complicated as North Yorkshire County Council prepares to launch its public consultation over traffic congestion, including the idea of a new road in the Bilton/Nidd Gorge area, is the suspicion that such a road would serve merely to attract more housing developments which would lead to more traffic. It’s a long and winding road to the truth these days. The street where I live recently saw the creation of a Neighbourhood Watch area. No, I don’t know what the details are or how it came about. Like a lot of people, I lead a busy life and didn’t find the time to take an interest. It may also be that part of me was against the idea. Where I live, there’s never been much crime. I know some would argue that becoming a Neighbourhood Watch area helps make a neighbourhood safer. I fear the opposite - that it might just present someone with a challenge. A Neighbourhood Watch may signify a sense of community. But it also implies that I am living somewhere that’s got a problem. I think I may have said as much the other week to the neighbour behind the scheme. Getting it off my chest felt good until I heard that someone on my street, who had gone to bed without locking their door, had been awoken in the middle of the night by a visit from the police. It seems a total a stranger had walked into his living room, helped themselves to the car keys, tried to drive away, then crashed into someone else's car almost immediately.